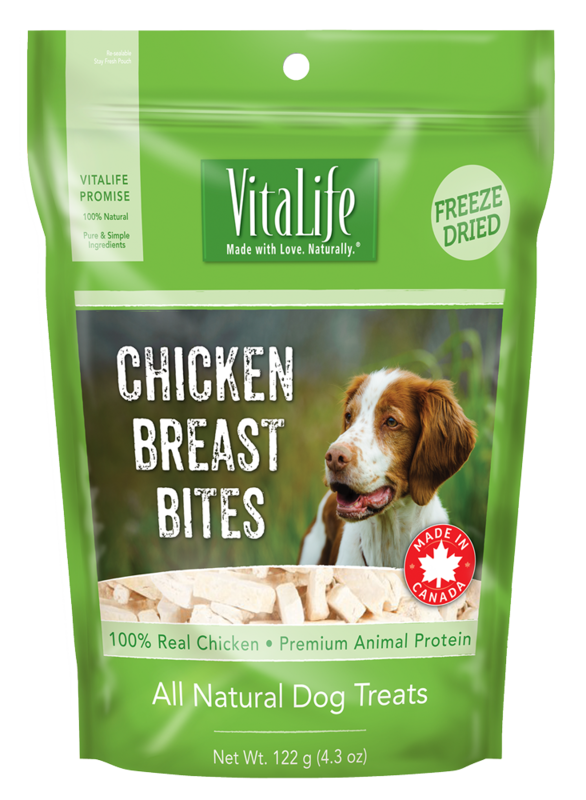 Meet our NEW All Natural VitaLife Freeze Dried Chicken Breast Bites. 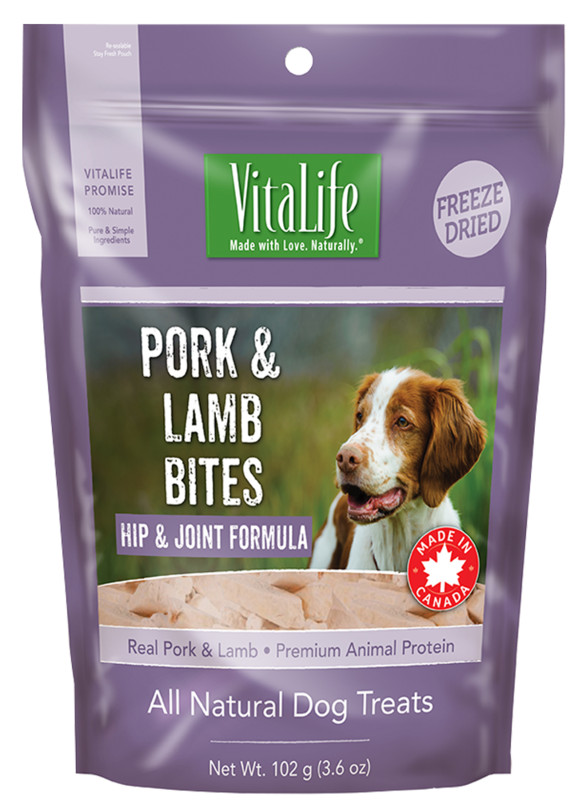 These treats are proudly made in Canada, with only pure & simple ingredients for the premium quality, healthy and tasty snacking that Your Pup will love. 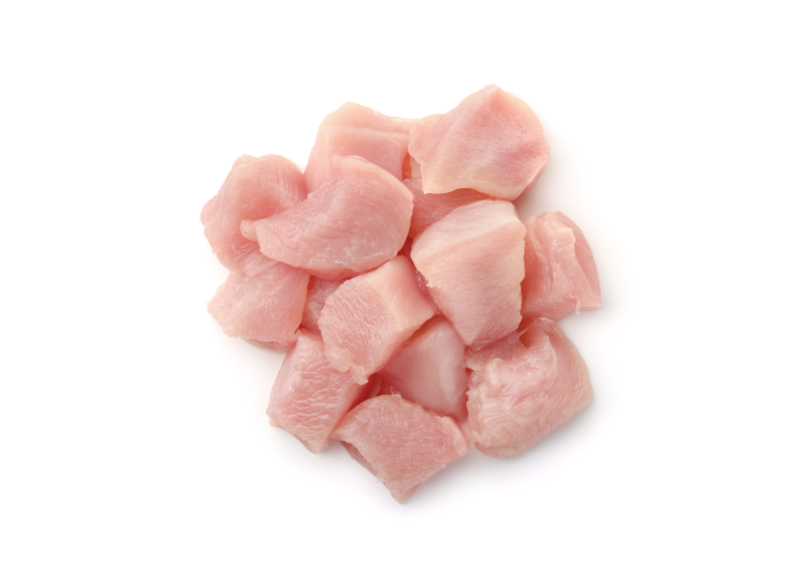 Made with ONE ingredient only, 100% REAL CHICKEN BREAST. 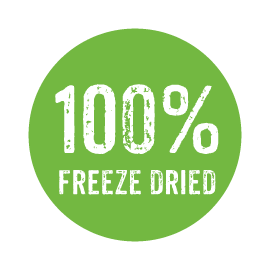 Our treats are gently freeze dried and minimally processed to lock in all the goodness of the essential nutrients of RAW MEAT for Your Dog to stay healthy & happy. 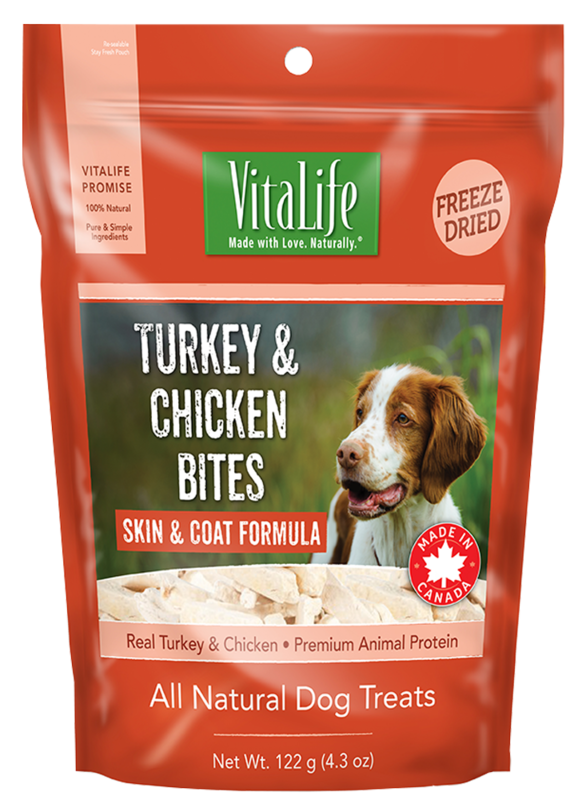 Naturally packed with the premium animal protein, VitaLife Freeze Dried Chicken Breast Bites offer joyful and tasty daily snacking in an all natural, premium style. 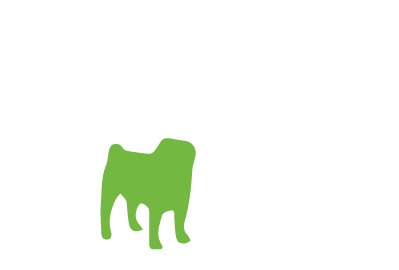 Go in a convenient bite size format, for dogs of all breeds. 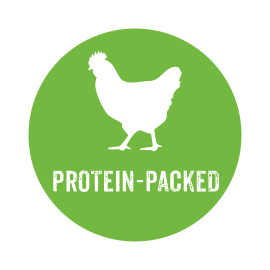 Crude Protein ................................................... 76% Min. Crude Fat .............................................................. 8% Min. 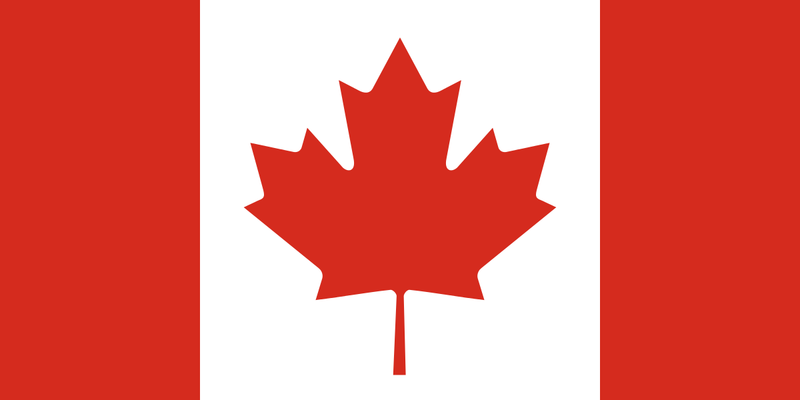 Crude Fibre .......................................................... 1% Max. Feed as a treat only. Recommended for all adult dogs weighing 6 lbs and up. Supervise the use of treats. 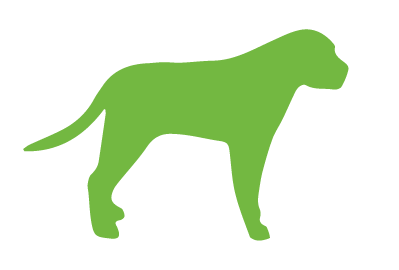 Always ensure fresh drinking water is available for your dog. 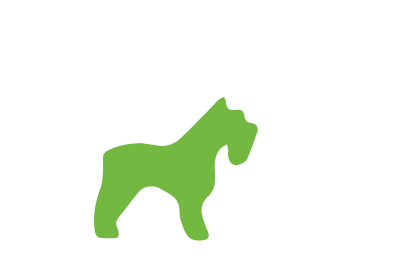 Just as you would wash your hands after handling human food, we recommend washing your hands after handling any pet treats. Not for human consumption. Seal tightly after opening to maintain product freshness. Store in a cool, dry place. For optimal freshness feed product within 30 days of opening package. 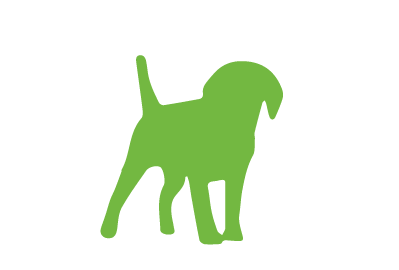 SEE what the PUPS are saying! 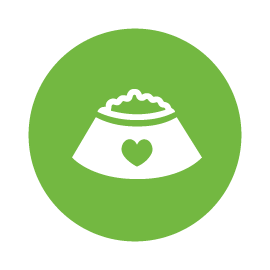 Our pet’s diet is in our hands and we strongly believe that they deserve the very best. Coming November 18 & 19, 2017 all the best deals, NEW products & prizes are waiting for you! As a pet parent, you love your companion like family. 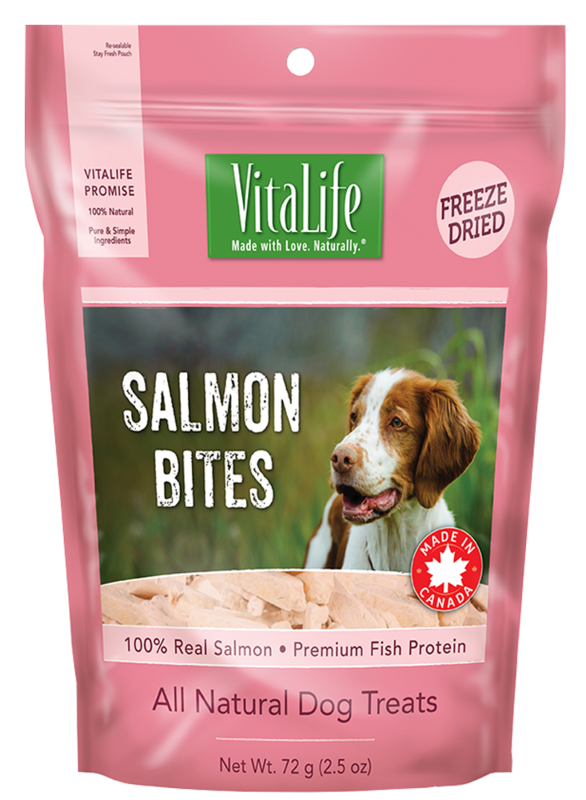 Why not feed them an all natural treat that tastes as good as it sounds? 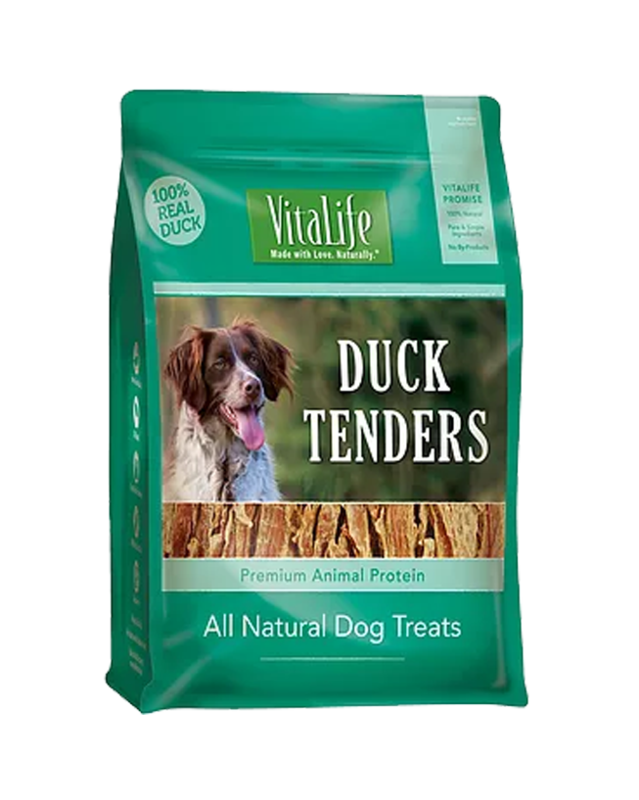 VitaLife All Natural Duck Tenders are made with only one ingredient.We choose not to include any by-products, wheat, corn, soy, added glycerin, added salt, artificial colours or flavours. 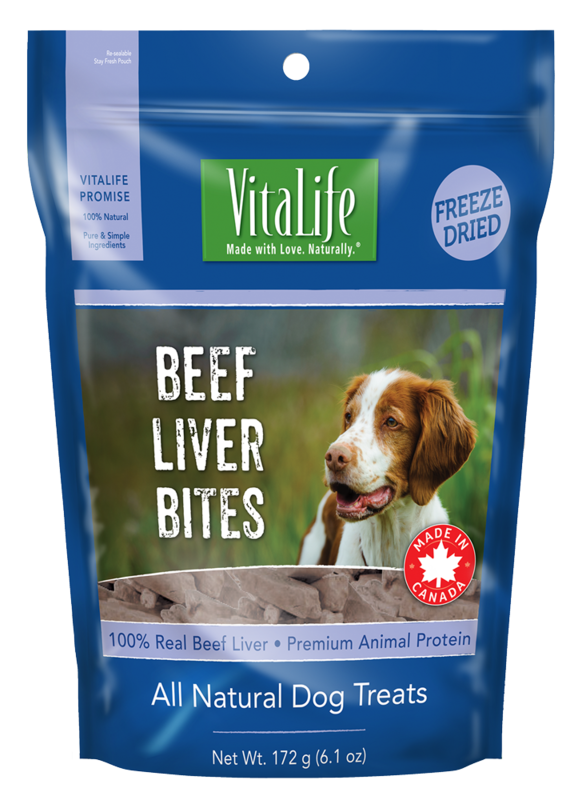 With a freshly baked aroma, and a mouth-watering taste, these all natural treats are sure to keep your dog's tail wagging. 2,980 kcal/kg metabolizable energycalculated, 15 kcal per treat. These are my dogs favorite treats ever, they are small dogs and have no trouble gobbling them up, the sweet potato part is soft like a gummy and the duck is wrapped around the potato. 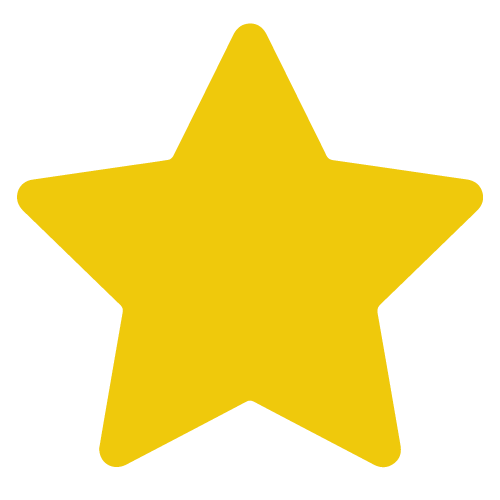 I share these with other family dogs and they have never been refused.